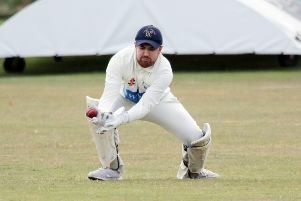 Banbury II held on for a draw against visitors Buckingham Town II in division one of the Cherwell Cricket League but they still face a fight to get out of the relegation zone. Buckingham posted 241-9 in their 53 overs, Matthew Thatcher top scoring with 75, ably backed by Samuel Younghusband 57 and Steve Beck 60 while Richard Simpson took 4-24 and Stephen Hart 3-61. Banbury then reached 233-7 in their reply as Justin Lambden scored 73, Josh Megson 33 and Brad Taylor 33 while Wasim Fayyaz took 3-50. 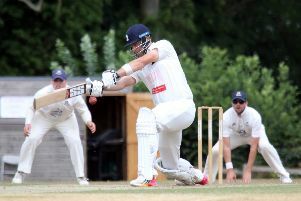 Bicester & North Oxford were far too strong for Horley as they cruised to an 86 run win to maintain top spot in division three. Batting first after being inserted, Bicester posted 227-8, Dan Savin hitting 68 and Alister Gibbins 65 with Dave Eaton taking 4-74. In reply, Horley fell for 141 as Matt Woods took 3-19 and Dan Clark 3-47 while Dave Clark hit 33 runs. Banbury III batted out for a draw as they frustrated visitors Stokenchurch. Josh Triggs 57 and Majid Ahmed 55no helped Stokenchurch to 259-9, Mike Simpson taking 3-69 and Imran Mohammed 3-80. Simpson then hit 32no as a dogged Banbury clung on at 162-9 while Josh Triggs took 4-41. Great & Little Tew II continued their upwards momentum with a crushing nine wicket win at Cublington. They skittled Cublington out for just 68, then cruised to 72-1 in just eight overs.